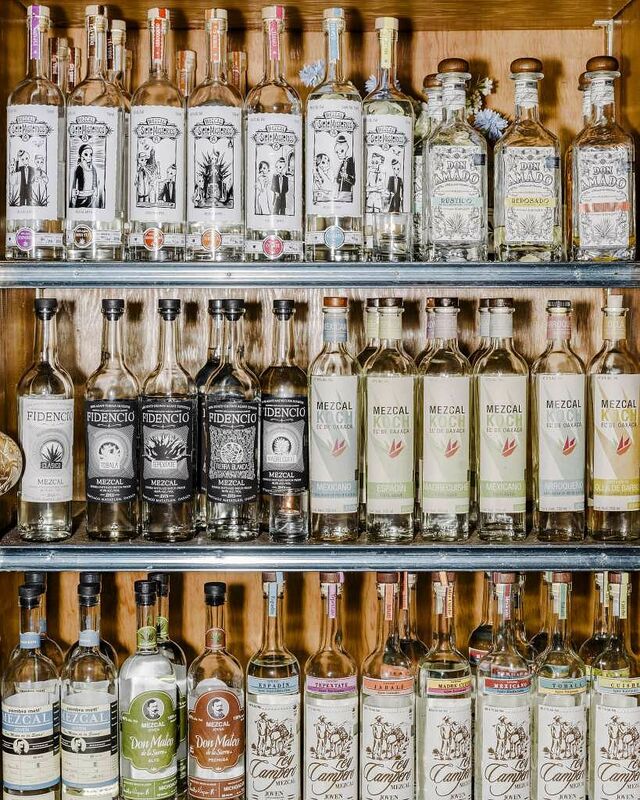 (NYTIMES) - Espita Mezcaleria, a new bar in Washington, stocks more than 130 kinds of mezcal. But Ms Megan Barnes, the beverage director, has a surprising sales technique when customers ask for certain brands. "A lot of people come in and say, 'I only want something that's grown in the wild,'" she said. "We try to steer people away from those, because if you're constantly drinking these wild agaves, you're depleting the wild agave fields in Mexico, and then there's nothing left. We try to teach our customers to be responsible, and we're responsible ourselves." Here, in a shot glass, is the current quandary mezcal drinkers face in the United States. Never has the liquor - tequila's smokier, rougher parent spirit - been more visible, plentiful or popular. Barely a month passes without a new mezcal bar opening in some U.S. city; recent arrivals include Madre Mezcaleria in New York City, Quiote in Chicago and Coyote Mezcalería in Portland, Oregon. That is a great thing for a beverage that has long been misunderstood and underappreciated by Americans. Yet it is also potentially troubling, because mezcal may have long-term sustainability issues. Like tequila, it is distilled from the agave plant, which can take anywhere from seven years to decades to grow and harvest. Mezcal can be made from a wider array of agaves than tequila, which must be made from the blue agave plant. So on one hand, owners of mezcal bars are spreading the gospel, trying to educate the drinker about the spirit. On the other hand, many are chewing the nails on that first hand wondering if they are doing the right thing. "I feel a little conflicted about it all," said Mr Bobby Heugel, who in 2013 opened the Pastry War, a pioneering mezcal outpost in Houston. "There is no way I would advocate anybody open a mezcaleria in the United States right now. It's a bad business proposition. It's like opening a sushi restaurant right now, when we're literally running out of resources in the ocean." That scarcity, however, is part of the spirit's new appeal. "Mezcal is the slow food of the booze world," said Ms Emma Janzen, whose book, Mezcal: The History, Craft & Cocktails Of The World's Ultimate Artisanal Spirit, will be published in July. "Mezcal is a time and a place and a family - you don't always find the same rich back story with many other kinds of liquor, including tequila. I've heard so many tequila fans say that once they discover the diversity of mezcal, it's hard to go back to only drinking tequila, because the latter is more one-dimensional." Just as bartenders are inspired by the aura of authenticity and history that surrounds mezcal, so, too, are young drinkers. "They are always eager to try a new mezcal," said Ms Barnes, of Espita Mezcaleria. "Some people even keep diaries." Last year, when Mr Eben Freeman, head of beverage development for the restaurant group AvroKO, and the bartender Nacho Jimenez opened Ghost Donkey, a mezcal bar in New York City, they put the expensive bottles on the upper shelves, expecting them to gather dust. That did not happen. "It's absolutely shocking how we've touched every bottle," Mr Freeman said. Good mezcal is not cheap - prices begin around US$35 (S$48.51) a bottle, and many brands are more than US$100 - but devotees do not seem to mind. "There's this sense that this is something worth way more than what they're paying," Mr Freeman said. "Also, there's the idea that it is artisanal, helping farmers." Because of the buzz surrounding the spirit, more mezcal is being imported into the United States. According to a 2017 report by the Mezcal Regulatory Council, a Mexican organisation that oversees mezcal production, exports rose to more than 2 million liters in 2016 from just under 650,000 liters in 2011, with 63 per cent of those exports going to the United States. "It's a little scary, because of the nature of the plant," said Ms Caitlin Laman, the beverage director at the Chicago bar Mezcaleria Las Flores. "We're putting pressure on the palenques to grow more and produce more." Palenques are the sometimes rustic distilleries that produce mezcal. Those who take this point of view worry that the mezcal boom will endanger the agave plants, mezcal tradition and the liquor itself. "Someone's going to have to feed the mezcal margarita crowd," Mr Freeman said. "What if Chili's starts serving one? It's not out of the question." Experts say they know of no group or agency that keeps track of the agave supply in Mexico. And others caution against alarmism. Mr Esteban Morales Garibi, founder of the Mezcal Derrumbes brand, which has six bottlings, each from a different Mexican state, fears that Americans do not have the whole picture of the mezcal business. "Mexico is so big, and every region has its own reality," he said. "In every article I read about this, they are talking in general. I don't want to put more stress on the consumers of mezcal. They are so worried about what they are drinking. 'Should we stop drinking mezcal? Should we stop drinking wild expressions?' That is not the way. Every bottle you buy is money for families down in Mexico." Mr David Suro-Piñera, president of Siembra Spirits and a leading advocate for preserving the heritage of agave spirits, thinks the best way for mezcal consumers to drink wisely is to stay curious and ask questions. "There are so many brands now, more gimmicky things," he said. "It makes it more difficult. The best thing is to explore the terroir and the history of mezcal, the diversity of the different regions."